A significant part of home safety involves protecting yourself and loved ones from emergency situations. For many of us, that means making sure we are taken care of in the event of a medical emergency. Whether it is for yourself, a family member or friend, a medical alert system can help offer peace of mind and security to those who are at risk of medical emergencies. Medical Guardian is our #1 choice for best medical alert systems in 2019. They are an industry leader in home and personal alert systems, offering excellent service and a variety of packages to fit your lifestyle and needs. Medical Guardian offers a lifetime warranty, a price lock guarantee, and a solid line-up of equipment. Plus equipment, activation, and shipping are free so it’s easy to get started. The table below has the various systems and monthly costs. All equipment has a lifetime warranty and waterproof pendants. Medical Guardian also offers a Family Guardian Plan. It costs $79.95 per month and comes with a door sensor and activity sensors. It also gives family members access to a mobile app. The app sends real-time notifications about activity and inactivity so you’ll have a better idea of how your loved ones are doing even when you aren’t in the home. Medical Guardian solves feelings of dependency by designing systems that accommodate travel, outdoor activity, etc. Medical Guardian has equipment and packages that take into consideration the mobility and liveliness of senior citizens and disabled persons. Monitoring station is located in the US with multiple industry safety certifications. Monitoring professionals are trained to handle crisis situations and will stay on the line with you until help arrives. Rapid response times, so as soon as you push your alert pendant, the monitoring service will call. If you don’t answer, they will dispatch help. Ability to dispatch EMTs, police, family members or friends based on selected preferences. Add a Lockbox to your equipment so no one has to break down your door to enter and provide help. Medical history card comes in your box. You can write down your medical history, allergies, medication, etc. and responders would be informed to look for the card on the refrigerator or console. Request a specific language or other specialized services from your monitoring professional. During our tests, we tried to take the back off the main console, in order to plug in the power cord, and it proved very hard to do. The process is similar to taking the back off a remote control to replace the batteries. It can definitely be frustrating to struggle with something so simple. The back of the main console is actually fairly easy to take off, but the design is counter-intuitive. In the below picture, the red circle is where we assumed we would press to remove the back panel, but that actually further locks it down. Instead, insert your thumb into the area indicated by the blue circle, and pull gently back to release the back. Looking at the pendant, you’d assume that you can switch between the bracelet and necklace. However, you should not attempt to move the pendant. Instead, if you want to have two wearable options Medical Guardian will send you a second pendant for $2.00 per month. We found this out the hard way, assuming (incorrectly) that we could move the pendant from the necklace grip to the bracelet grip, and it took more than 30 minutes before we could manage it. You can also opt for the $2.00 extra monthly charge to share one system between two people. Also note, you’ll need to hold down the button on your pendant for a few seconds, until the pendant lights up in response. During testing we noticed that if you don’t hold the button down for two seconds at least, the light doesn’t always come on, engaging the system. Be careful not to press lightly and release, as there’s no guarantee your call will be received. Jim lives in a ranch style home with a basement and a garage. He has a Home Medical Guardian with a base station and a wearable emergency pendant. He keeps the base station centrally located in the kitchen, but while he is in the garage, he suffers a medical emergency. Because the monitoring service is calling him on the base station, located in the kitchen, Jim cannot answer the monitor’s call. If Jim had a wearable with a speaker on it for two-way communication, he could speak to the monitoring professional, explain the emergency or even listen to the representative, knowing that help was coming. We feel it would be a benefit and a safety measure to have two-way communication on the wearable devices. If you can relate to Jim’s situation, you can opt for the Mobile or Active Guardians, which have built in speakers on the wearable devices, so no matter where you are, you can speak to or listen to a representative, helping you feel safer. Which Package Do We Recommend? We recommend the Active Guardian based on our tests. Not only does this model have the safest features like auto fall detection, cellular connection, GPS capability, battery backup, speaker directly on the wearable and unlimited range, it is also the easiest to install and wear. You can wear this device around the neck, on your belt or simply stash it in a pocket or purse. Clipping the device to the necklace or belt was very easy and painless. It is more expensive than other options, but it is also more convenient and safe. 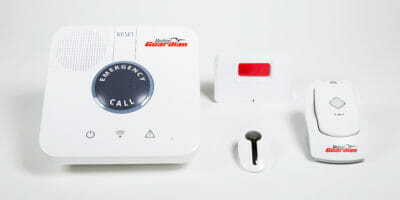 An important note with medical emergency alarms is the independence and dignity of many seniors or disabled persons. The Mobile and Active Guardians give the most freedom to users, specifically in wearability. I would recommend these units to my grandfather because he could wear them on his belt, wrist or in a pocket rather than as a necklace, potentially embarrassing him. Thinking of the struggle he would experience moving the classic pendant, showcased how much easier the Mobile and Active Guardians would be to use and how those models would make my grandparents feel safe without stripping them of their dignity. Many people have tried Medical Guardian and we’ve compiled some user reviews, both positive and negative, to help you understand the highs and lows of this product and service. In August, I subscribed to this service with their Active Guardian device with fall detection. I prepaid for one year’s service. 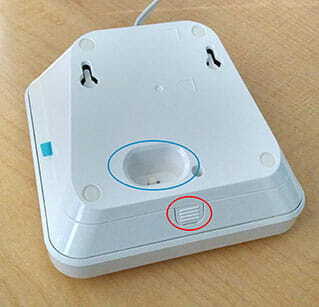 After receiving the device, I immediately discovered there were many times the device would not get a cellular connection, so, it would not work, even in my house. They claim they use AT&T for their cellular connections, yet, both my girlfriend and I use AT&T for our cell phones and they work fine in our house, and, the signal reads as very strong. Overall, a medical alert system is worth the cost if it provides assurance and safety for loved ones in need, but you should take into account which system would be best suited to your lifestyle and the costs of monitoring. We believe that Medical Guardian, while expensive, offers the most up-to-date monitoring services, professionalism and security for those in the market for a medical alert system.